NEW Project Merger for GameSalad™ - Updated and 1.25.80+ Ready — Welcome to the GameSalad forum! I have had a lot of feedback and requests to merge projects for clients who can no longer use the old DBA Project Merger for projects using the more recent and current versions of Gamesalad™ Creator. Some of you may know (or not know), that when merging projects with the old tool, it produces a second "purchasetable" resulting in Appstore rejections and other issues. It is no longer supported with the current version of the GameSalad™ Creator tool. So I have been working closely with Wayne from Deep Blue Ideas and together we have produced a new version of the Project Merger which now supports the current version of GameSalad™ Creator. The new tool now supports the latest version (currently 1.25.80) and will merge all aspects of the game including Custom fonts and PurchaseTable. ***Please note, DBA, the original creator of the software, no longer supports the current version of GameSalad™ Creator. 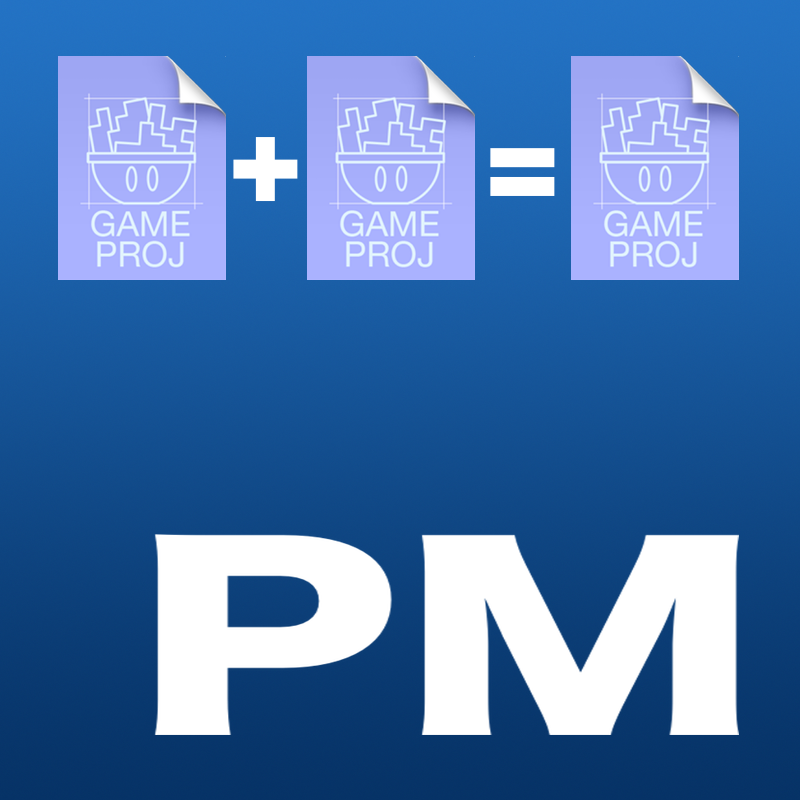 This version of Project Merger is brought to you by gingagaming and can be downloaded here. However, I would like to acknowledge Darren from DBA @UtopianGames who was instrumental to the development of this tool, and has also been a good friend of both myself and Wayne, and easily (in our opinion) the uncrowned king of GameSalad and a great contributor to the community. Wow, can't wait to try this out! Fantastic work @gingagaming! That's awesome. The old version was always a handy tool and I'm sure this will be as well. Nice! Any plans for an updated version of the GS Project Attributes app? Possibly @pHghost I personally have never used the attributes app. What doesn't it do that it did before? Let me know and I'll see if we can get this rereleased too. And that goes for any of the DBA tools, if you guys can feedback to me what doesn't work with the current creator, we will do our best to get these back on the shelf for use. I get tears in my eyes - thank you @gingagaming and you Wayne too! 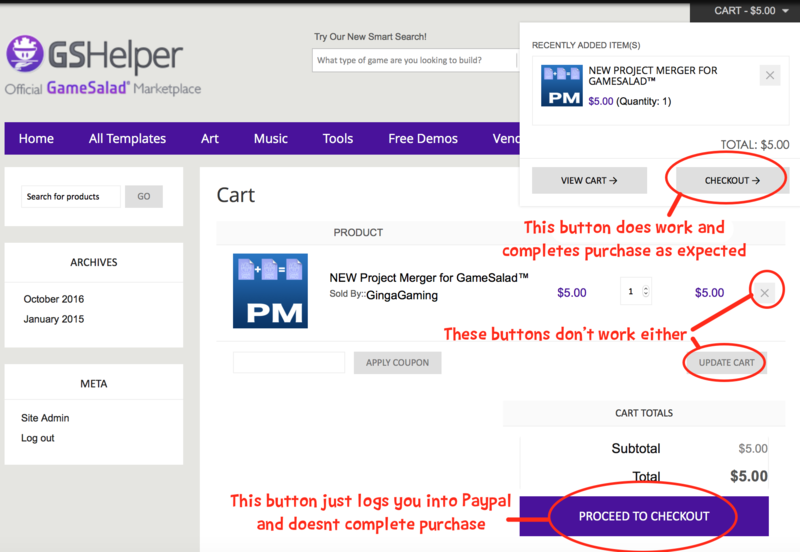 @gingagaming I've been using the old Merger normally and removing the second purchase table manually in the xml files. A tiny bit annoying, but worked if you didn't mind digging in a small amount of "code." The problem with GS Project Attributes (which lets you analyze attribute use and reorder attributes and tables) is that if you try to reorder them and press the button to generate a new file, it simply throws an error and fails. The analysis part of the app works fine. You can relatively easily do this reordering in the xml as well, but with everything bunched up together, it is a lot easier to make a mistake and if you are dealing with a huge project (which is usually what you use this tool with), it is really overwhelming, when you could only drag and drop to reorder. P.S. Does the new Merger look like the old one? Do you have a screenshot? Does it support retina resolutions? @gingagaming does it work for windows? If not, will you release one for windows? This is exactly what I was doing and its gets time consuming when dealing with projects with some 100+ tables looking for the correct and incorrect purchasetables! Ill do some testing and get back to you on this one. It looks exactly the same yes, this hasn't been rewritten, its just been brought upto date to work with the current version of Creator after support for the tool was discontinued. "Billing State is a required field." I can not see any form entry field about state.... What am I missing? Sorry no, this is Mac only software. I don't personally feel the ROI is there to develop it for Windows. The majority of GameSalad Users use a Mac and for the few who do use a PC, most of these users end up changing to a Mac when they wish to publish to the App Store due to limitations. Of cause not all PC users do this but it does seem to be the trend. This leaves only a small window of PC users who would use the tool and at $5 a pop, development cost for the tool would never be returned. On top of all this, we have the planned move away from Mac and Windows to Web Build. Who knows what issues thats going to throw for tools like this so for the immediate future, there will be no PC version. However, if you wish to open a thread and create a demand for the tool on the PC, you maybe able to throw some numbers at me that contradict my findings and if there is a market for the tool, we will certainly look at this in a different direction. I have just tried to purchase it as a test purchase and it seems that GSHelper.com is not working. When I try to make a purchase, it simply lets me login PayPal and sits there. Maybe @uptimistik the owner of the GSH can apply a fix to this. In the meantime, anyone wishing to get a copy can send me a PM. Sorry for the inconvenience. @uptimistik Below you will see a bunch of errors that are happening with your Cart System over at GSH. Please can you correct this so users can make purchases. I assume this is a global issue and not just for my item. For anyone else wishing to make a purchase, please use the checkout button in the far right corner of this screenshot or you can contact me directly until @uptimistik corrects this store issue. Thank you for your patience. @uptimistik has corrected the above issues and you should be able to download the tool through the official marketplace. Thank you for your patience guys. First, they might change to a Mac at publishing but do the initial code in Windows. Your tool would primarily be used at the beginning of that process not the end. Secondly, the education push and the usage of mainly windows based machines in schools should mean your tool is quite in demand unless I am mistaken. As teachers etc might offer multiple templates to do a project etc. This tool is perfect. Unfortunately those users aren't on the Forums and I doubt GS would give us accurate or any numbers for me to use to drum up interest. Nonetheless, what kind of numbers do you need so I know my targets? This really is a great tool and I work mostly on windows machines since I hate all things Apple and only use Mac for publishing. It would be great to have it on Windows. You need to choose the tool according to the need. That's a bit like saying: "Hey, can you teach my Volvo to fly? Since I hate all things airplane, but really need to fly to Japan, you know." P.S. There's a lot of Macs in education, you would be surprised. @pHghost I agree. When I say I hate all things Apple I didnt mean it was just an irrational thing. I honestly find iOS to be a frustrating platform for a variety of reasons. TBH I would Linux but that isn't an option here so I use Windows because I find it better than Mac . And yes the cost of it is also a thing. I tried to use Android a couple of times and found it a horrid and confusing experience. Some of it was because of what I consider poor design decisions (flight mode buried five menus down or so? ), but the vast majority was just because I wasn't familiar with it. The same was when I started using GS. It seemed horrid and confusing. There was a learning curve, but was it worth it? Absolutely! It also has some poor design decisions inbuilt, but I couldn't make apps without it. In the end all of these are tools. The same applies to computers and phones. If for some reason it was necessary for me to use an Android phone or Windows, I'd learn it (I worked on Windows for almost a decade, but then switched to Mac and never looked back). The differences between macOS and Windows are still nowadays portrayed so extremely, but in effect, there is an absolute minimum you need to do to adapt, and it has been this way for years. Both systems use files and folders and both systems support the vast majority of the same software you would need to use to work. Ultimately, for me, with a Mac I know I can focus on the work I need to and macOS 'disappears' into the background, whereas the last time I had to work on Windows (about a year ago), I was barraged with multiple system pop-ups on almost every step which made working on it a drag. I did mistype and meant macOS. My problems with it have to deal with interface issues mostly. Some might have changed and I am just unaware of it since I dont use it anymore. I have never liked the single mouse button thing, the location of some buttons onscreen, some other design and layout decisions or the inability to rename stuff whilst you're in a dialogue box when saving or opening things and the closed system nature of apple OSes. plus annoying shortcuts. TBH and Fair, small things for some and not even considered by many but for me they make it almost unusable (that's how high my level of frustration is). This was a bit annoying -- maybe 8 or so years ago. Ever since the the multi-touch touchpad arrived on the scene, a lot of Mac users don't use a mouse at all, especially on portable computers! The only major use is for gaming nowadays, I'd say (though others might disagree here). But of course, there always WAS support for right-click functionality and you could plug in any regular two-button mouse through USB and later on had gesture and multi-touch control on the Magic Mouse. This is a common argument that comes up, but is not really substantiated. Yes, there is the question why Apple only made a one-button mouse themselves as a physical product, but macOS was never lacking in support of multi-button mice. This is a bit nebulous. What do you mean exactly? Design and button layout decisions for apps are usually dictated by the makers of those apps. Do you have a specific example? This sounds outright strange...you can rename stuff in all the ways as on a PC, plus a couple more extra, to give you that extra flexibility. Unless you mean some very specific case...in which case, example please! and the closed system nature of apple OSes. This seems like a swipe at iOS. There is nothing closed on macOS in the same way as iOS is, and all safeguarding features on macOS are 100% modifiable and customizable, as is the vast majority of the system. More so than Windows, BTW, due to the Unix core macOS is built upon. The vast majority of system shortcuts are exactly the same, with the caveat that the windows-key is replaced by the command-key. There might some small differences due to extra functions on macOS (like the superbly useful cmd-H), but otherwise these shortcuts are usually universal across systems, including Linux. TBH and Fair, small things for some and not even considered by many but for me they make it almost unusable (that's how high my level of frustration is). This is of course a fair personal point, but goes back to what I was saying about the willingness to learn new things. GS was extremely frustrating when I first started (and still is, sometimes), but as a tool, you learn it and then use it, presto.